Today's post is a quick one. With Adam's birthday done, laundry done from our two weeks away and life settling, I'm looking forward to getting some of my own crafting and blogging done tomorrow. In the meantime, I have a little eye candy and a shout out to Stampin' Up! I was so pleased to receive this beauty in the mail a few weeks back. What a nice touch, thank you!!! Have a wonderful day and thank you again for stopping by! I love the weathered wood look on the background of the page, although the white may be a little too stark. Still working on that one... any suggestions? When I created the page, I truly designed each section on their own, thinking of them as an individual page almost. The only thing I kept the same were the colour combinations. Can't wait to see what you come up with! We are having SO MUCH FUN with the Gilberts. This is the Australian family that did a teacher exchange to Lambeth last year and we are so lucky to get to spend time with them. They are AMAZING! I know you never "expect" a blog post, but I like to share something each day since you take the time to stop by. SO, this is some eye candy for you made by my mom. It's the card she made Nathan for his birthday! I can't even begin to explain how it came together, so I'll just share the photos and you can drool like we all did!!! It's a Quickie Post today! Just a little eye candy for you today! Want to make sure you have something to enjoy before you start your day. Our day got away from us and we're heading out again, so rather than skipping a day...you can just enjoy! I didn't ever think I'd think this way... but it's true! We are falling pretty hard for the beach! It's just so relaxing and a great way to spend the day. I've relaxed a little with being so nervous. The only thing I wish is we could snap our fingers at the end of a great day and we'd all be sand free.... that would be magical! This page was so fun to put together, partially because the photos are great of Nathan and it's happy memories, but also just it came together so nicely. I used the Torn Edge stamp on the top of the page to give the gray colour the look of the splash. I used the Convention 2012 DSP with the torn edge layed on top. I used a couple of DSP pieces behind the photos to help make them pop as well! The embellishments are from the Summer Possiblities kit. Click HERE for all the details on my newest MDS club I'd love to have you join! It's not too late! So, back to the Happy Day! This Designer Series Paper makes me HAPPY! I love the colours, I love the two toned colours, I love everything about it! You? Do you have this paper yet? This paper looks smashing with the Burlap ribbon (which is SO YUMMY TOOO!!!) and of course the Chevron Ribbon. I love the neutral palette with the colour pop from the DSP. (www.stampwithheather.typepad.com/travel) I'm so grateful that my mom loves us so much that she shares a ton of her creativity with us and sends us cards. It also helps with the blogging:) THANK YOU Mom! This card my mom made for Emma. I'm not sure how many hours it would have taken her to line up so PERFECTLY these butterflies in the circle but it's amazing! Now in saying this, if I were to do this card, I would be a complete MATH NERD! I would figure out the circumference of the circle needed (c=pi x diameter) then divide the length of the butterflies to know how many I'd need. Then I'd LIGHTLY put a dot on the card where each one was to go....and probably by then I'd give up:) Thank you mom for not giving up!!!! Happy Easter to you! I hope your weekend has been one full of fun and family and making memories. I know some of you may see this challenge as a "late" one, but our thoughts are with Easter fresh on your mind you can whip up a page using some of these tips or tricks now and be ahead of the game! OR, some of you may even have an Easter gathering today, that you could seriously whip up these little gems as place cards or tags for treats.... so... let's see what you come up with! I have my AMAZING friend Martha Inchely, at Inch of Creativity to thank for this gem! She made the CUTEST card that is very similar to this and I HAD to CASE it (with her permission of course!) She is uber talented and her card is equally as cute! Check out her blog HERE for even more amazingly cute projects! I put together a few quick screen captures with tips and tricks on using MDS. The Freeform tool is awesome and I love the ability to colour in my stamps and add details to call my own! Do you use the Freeform tool much? The other little trick on this card is that I used the Grass Punch and then cut out pieces of it to layer behind the bunnies' bums. Then it looks like they are sitting in the grass. Cute, eh? I am super excited to see what you come up with for the Easter Challenge this week! Looking for a fun colour combo? and of course a great card to look at..... My mom sent this card and I have to say I was wowed by the colour combination! Not one I ever would have thought of, or put together and I love it! Thanks mom! Now here's your challenge.... use this colour combination! Make a creation and either link to my blog (use the comment section and put your blog in) or send me an email (adamsum@yahoo.com) and I'd love to see what you come up with! In the meantime, I hope you enjoy this creation! Check out all the details my mom included.... amazing cutting skills, love the embossed folder on the DSP. Adam really liked this card... although he wishes he could be as relaxed and napping like Snoopy. Although I'd say being on holidays he's pretty relaxed. For some reason though, when Adam's on holidays he wakes up EARLIER than when we're at home. WHY???? Anyhow, thanks so much for stopping by today! Hope you enjoy my mom's sweet creation! I have been so lucky to get to spend some time with my wonderful friend, Teneale while in Australia! She has been an amazing hostess and even greater friend! Thank you, Teneale. Well, it was her birthday the other day and I wanted to make her a special card.... just like she is:) So, here's what I came up with. No white cardstock (except for the stamped layer). Teneale loves colour so I wanted to use colour. SPONGE! Teneale is the queen of sponging....seriously, so I wanted to sponge on her card. So with those parameters on myself, this is what I came up with:) What do you think? I'm happy with the final look. One thing that I thought was very "Australian" about this card are the macaroons in the background. These tasty treats are EVERYWHERE and very on trend. Maybe they were in Canada before we left too, but I didn't notice them. I am still loving this set! The bunny just makes me happy! I think coloured in brights it would make for a great Easter bunny too! What do you think? Soft Sky is a colour that I underutilize. It's a beautiful, soft and muted blue that deserves to be dusted off a little more. I'm going to challenge myself to do just that. Do you use Soft Sky much? Another mom creation today! This one blew me away! I love the colours, the creation, the punching...everything about it! Thanks Mom! And of course the kids were VERY amused with this one! I love the droopy eyes on this little gem as this is how they look in "real" life as well! I love how much sponging my mom did on the edges of the cardstock. It gives the card so much more dimension and depth. I need to sponge more.... And to top it off, like the card wasn't already amazing....it's an easel card! Beautiful, eh? I took my best guess as to what punches/dies my mom used to assemble this card. I don't have them all here, so couldn't really compare to know 100% but I'm sure what I wrote will work:) Check out the PDF below for the details. I have my amazing mom to thank for this card! We truly are spoiled! We receive sometimes more than one card a week in the mail, which is awesome! It certainly makes us all feel loved, but gives us a piece of home too! Thank you mom! I realize a few of these items aren't available as they were Sale-a-bration goods BUT I also know that many of you have these and maybe are looking for some ideas on how to use your FREE products. I can't wait to make a million of these! The teeth are done using the banner punch from the SAB cattie. The embossed face is also from there..... I love how my mom inked up the embossing folder to get the dark and light look on the card... cute, eh? Inside the card tucked away so perfecting on this adorable tongue is the greeting! Isn't that ADORABLE!!! Can you see why my kids get SUPER excited everytime they see a Gramma envelope in the mailbox? My mom is amazing and I love all that she shares with us! Thanks Mom! Been having a ton of fun MDSing since my computer crash. By having to redownload EVERYTHING I've learned what kits I have (and I have a lot!) and it's encouraged me to use things I haven't for a while! ONE KIT (mostly....I did cheat with sequins and pearls) BUT use the kit for a different purpose! For example, I used the kit Watercolour Winter but did a beach page with it. 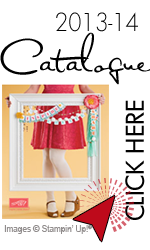 You could pick a Christmas kit and scrapbook Easter, or pick a bday kit but make a back to school page.... you get it, I know! Can't wait to see how creative you get with this one! Remember you can crop and change colours if you like! Click HERE for all the details on my newest MDS club I'd love to have you join! It's not too late to join!!!! Do you love to craft? Are you ever short on time? Do you want to have handmade cards and other crafty creations to share? Well Paper Pumpkin may just be your solution! Seriously! It's amazing. I LOVE my kits (and thank my mom for sending them to me!) They make the cutest projects, all supplies are included and they are so fun to put together! AND another bonus, is if you're a current subscriber, you can order past kits!!! WHOO HOOO!!! This month's kit came with 8 cards, envelopes and awesome gold liners! Plus of course the stamps (two of them), inks (two of them), some glue dots you could use on the greetings (although I used my Tombow), the bling and of course the ideas! Do you love these or what??? If you're interested in signing up for Paper Pumpkin and would love to get a surprise in a box sent to you each month feel free to contact me! I'd love to share this joy with more of you:) In the meantime, have a GREAT day and I'll "see" you again in the morning! We're heading to Broken Hill...can't wait! As you can see I've been having a ton of fun sewing on my cards. I love the look of it and it's so quick and easy. I did some sewing at the bottom of the different paper layers. I also stitched on the ribbon scraps...cute, eh? I hope you like today's card! Thanks so much for stopping by today! I hope you have the chance to bond with a friend or family in the next few days! We're off on our holidays...can't wait! I'll be posting while away some amazing creations my mom shared with us as well as some I've worked on. Have a great day! As I look through my MDS pages as of late, I've noticed most of my pages have three or less photos on them. BUT there are times I want to include a million photos! Ok, that may be a stretch, but lots of photos. I saw this idea on Pinterest, and someone had screen captured their pinterest pages on a page, so I thought I could use a similar idea but use my photos on tags....thoughts? Because we are travelling and seeing animals we've never seen before I want to include them on our pages. And because there are so many of them this solution works, don't you think? are you sick of my coffee cards yet? I'm loving them, but I'll try and switch up my post for you tomorrow...maybe a different colour and a different set:) Thanks for being patient:) Although I will say, I love that so many of you are honest and will say things like, "not my favourite set, but love the layout!" That's what my blog is for...inspiration... maybe it's a layout, a colour combo or a complete CASE! Use what you can and I hope that my site helps in your creative journey! Do you have struggle with the "randomness" on cards? I do. I want to place things precisely, but the trend right now isn't that....be random, a little of this, a little of that. Not to say those perfect cards aren't in, as they will always be beautiful and appreciated. This randomness seems to be like hexagons...trendy for the moment:) So I randomly stitched on my card, and randomly used the linen thread, and randomly placed some rhinestones on it and I have to say I'm happy with the final look. What do you think? Thanks so much for stopping by today! Hope you enjoy the fun Perfect Blend cards! Have a great day! Thanks for the sweet comments on yesterday's coffee card! I went to the indoor play place yesterday with Cole and was working on assembling some coffee cups... and I made a friend! I feel like I'm five when I said this, but we swapped numbers and will meet up at the play place after the break. Fun! See what I mean.... coffee and friends are the perfect blend! Today's card is even easier than yesterday's! I had fun doing some crazy sewing behind the coffee cups on the Coastal Cabana layer. Quick and simple, but it adds a great "foundation" for the stamped images. What do you think? Thank you for stopping by today, I hope you "enjoy" your visit! Have a WONDERFUL day! something I miss dearly! I have a few close friends in particular (Sonia, Linda, Nancy, Cathy and Sandi!) that I would have infrequent but IMPORTANT coffee dates with! I MISS THESE! I miss them! These next few days I'm going to share some cards I've made using this colour combination and stamp set to invite some new mom friends from Nathan's school over for a coffee.... it's about time I try and make a new friend over here.... right? I've got a group of cards made and I'll pass them out after our "autumn holiday" that starts next week (a two week holiday!) WHOO HOOO!!! Another tangent..... sorry, gotta get back to this card:) The coffee cup is a fun one to stamp and create in different ways. I stamped the cup on Crumb Cake, Whisper White and DSP. I then cut them all out (and kept the lid on the Crumb Cake so I had something to attach the white lid to. I used Dimensionals to attach the lid just to make it pop a little. I hope you like today's creation! Have yourself a FANTASTIC day! Thank you for stopping by! Happy Day to you! Hope your week is off to a GREAT start! We're pretty excited knowing this is the week leading up to our two week holiday! YAY! Lots to do before we go, but can't wait! Miss Kimberly has given us a FUN challenge again this week. One photo, THREE looks! So, I picked a photo of Emma from her first day of school just to showcase all the angles! Peachy Keen Day and Card for you! I do love this set...I've said it many a times! But it's just a fun and whimsical set that can be for so many purposes. Male, female, kid...and it's so trendy right now with the frame and the camera and the arrows. LOVE! Sometimes when I'm creating I amuse myself with how little it takes to make me happy. I loved how the card looked but knew it just needed a little something. The staples is all it took! The two staples just seemed to add that little extra that filled a "shape" on my card. I DARE you to try. Look at one of your past cards, or create one and see if it needs that little extra. If it does, try a staple! It won't work on every card (but I will laugh out loud if you send me a link with a card and a million staples on it!) but it does with some styles and colours. Aren't these colours YUMMY together? One thing I did when creating this card was to put an unembossed piece of Whisper White cardstock in the polaroid. I tried to use the embossed paper, but it was too much. Well, I'm happy to say I've downloaded more of my MDS files and was able to create a page today. I needed a break from downloading so I used one othat I just reloaded....Wonderful Party I think it's called. Emma and I went to a Cake and Bake show a few weekends back and had a great time! It was amazing to see all the GORGEOUS creations, taste the samples and just spend time together. I've shared my tips and tricks with you that I used on this page in the PDF at the bottom! YES....I have a PDF done! Not sure I"ll be back to doing it everyday until my computer is completely fixed, but in the meantime, hope you enjoy! Happy day to you! Ours was a wonderful day (nothing exciting happened...just a day of smiles and time together!) Although, we did see the Lego Movie and it was pretty cute. The boys loved it! OK, enough about me and onto the card! This one was super fun to create using the Peachy Keen stamp set! LOVE this set and the matching framelits. It's a ton of fun! The colours on this card are Pistachio, Crumb Cake and Pool Party. Aren't they YUMMY together? The greeting was made using the speech bubbles framelits and I just cut off the little speech "do hicky" that hung down. Cute, eh? Again, sorry I don't have a PDF for you on this one. Just about have my MDS back up and running! Have a WONDERFUL day! Happy Friday to you! I can't even begin to talk about the roller coaster week we've had here! It's all good, we're safe and everyone is fine, but my sweet computer DIED on me! DIED!!! It was a SAD day....I was working on making my post for our MDS club and BOOM...nothing. Computer froze, I could turn it off and then it wouldn't go back on. ANYHOW, I'm working on getting it fixed and up and running, but in the meantime I do have a few photos of projects from my phone. SO, I apologize for the poor quality photo and no instruction sheet, but I'm happy to be able to share using the Typepad App...technology can be a wonderful thing! In the meantime, I hope that you can enjoy the little bit of eye candy! Have a GREAT day!